Four Corners SCI will send two Four Corners Area teachers or students to attend AWLS. 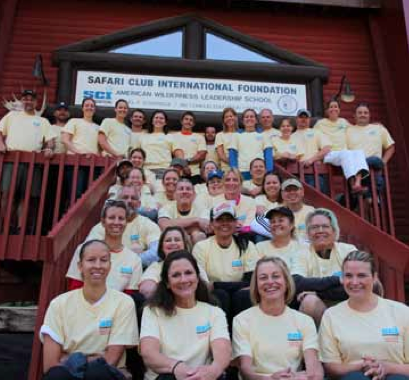 The Four Corners chapter of Safari Club International (SCI), sponsors two local teachers to attend the American Wilderness Leadership School (AWLS) during the summer of each year. All interested teachers need to have applications submitted to Four Corners SCI, for grant review, by February 15th of each year. The school offers six teacher sessions and one student session for ages 16-18. A registration fee of $900 covers meals, lodging, and round-trip ground transportation to and from the Jackson, Wyoming, airport. This is a great program and a great opportunity for all that attend.